South Africa’s Deputy Disability Minister Hendrietta Bogopane-Zulu says the government is investigating how interpreter Thamsanqa Jantjie, who faked sign language at Nelson Mandela’s memorial service was given security clearance. Thamsanqa Jantjie, who stood alongside world leaders at the event, has denied being a fraud, and said he panicked when he began hallucinating. The sign interpreter said he had schizophrenia, which had in the past made him act violently. The agency that employed him, SA Interpreters, has reportedly vanished. 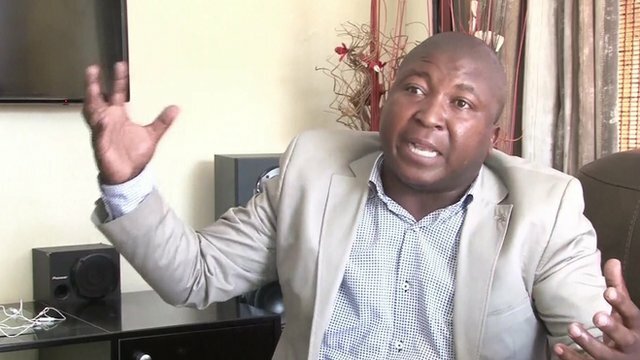 The African National Congress (ANC) said it had used Thamsanqa Jantjie as an interpreter several times before, and “had not been aware of any of complaints regarding the quality of services, qualifications or reported illnesses” of the interpreter. Tuesday’s memorial at a stadium in Johannesburg was organized by the state, not the ANC, so the ruling party could not comment on security arrangements. The South African Translators’ Institute said earlier there had been complaints over Thamsanqa Jantjie’s work before, but that the ANC had taken no action. The ANC said it would “follow up the reported correspondence that has supposedly been sent to us in this regard and where necessary act on it”. During the memorial, Thamsanqa Jantjie stood on the stage next to key speakers including President Barack Obama, South Africa’s President Jacob Zuma and Nelson Mandela’s grandchildren, translating their eulogies. Thamsanqa Jantjie ‘s performance was watched on television by millions of people worldwide and angered the South African deaf community. Pressure has been mounting on the government to explain why he was hired for such an important event. Deputy Disability Minister Hendrietta Bogopane-Zulu told a news conference on Thursday: “Firstly, I don’t think South Africa as a country would put at risk anybody’s security, especially those of heads of state. Hendrietta Bogopane-Zulu apologized to the deaf community but said there was no reason for South Africa to be embarrassed.